A 20-year-old man is facing criminal charges in the US for hacking and giving to the terrorist group Islamic State the personal information of 1,351 US military personnel and federal employees. The 'terrorist hacker' from Kosovo was arrested in Malaysia. Ardit Ferizi is a well-known hacker and member of the group called Kosova Hacker's Security (KHS), the US Justice Department said Thursday. The group is suspected of illegally obtaining personal information like home address and social security numbers of some 100,000 of individuals by hacking into a US computer network. It belonged to an unidentified retailer in Phoenix, Arizona. Among the data was information about 1,351 US military personnel and federal governments, which Ferizi apparently datamined and shared with the terrorist group Islamic State (IS, formerly known as ISIS). The list was shared in August through jihadist social networks and was intended as a 'hit list' for IS sympathizers in America. Many of the phones and emails on the list turned out to be out of service, but some were up to date. Assistant Attorney General John Carlin said in a statement Thursday night that, "as alleged, Ardit Ferizi is a terrorist hacker who provided material support to” IS. 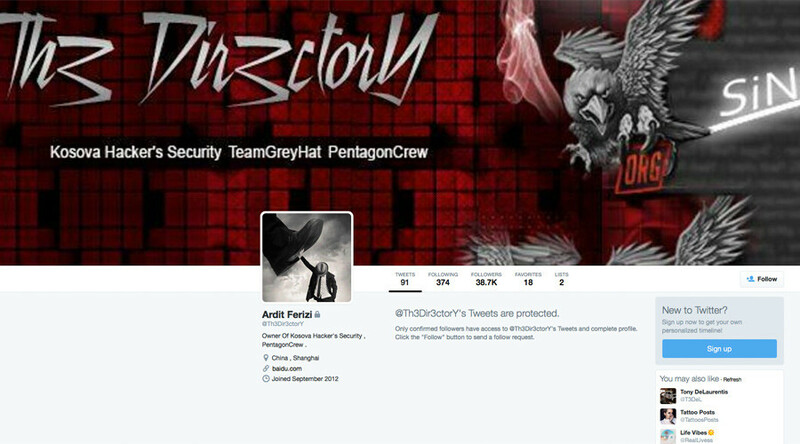 According to the complaint, Ferizi, who called himself ‘Th3Dir3ctorY’ on Twitter, contacted terrorist figure Junaid Hussein, aka Abu Hussain Al Britani and gave him the stolen data. The leak was attributed at the time to the so-called Islamic State Hacktivist Division and advertised online by Hussein. The terrorist was reportedly killed in a Pentagon airstrike later in August. Ferizi was arrested in Malaysia, where he went in August 2014 to study computer science and forensics at an institute in Kuala Lumpur. He is expected to be extradited to the US to stand trial, Malaysian police reported. The hacker group KHS claimed to have hacked more than 20,000 websites, including Serbian government sites, Interpol’s website in 2012, and an IBM research domain that same year, according to the criminal complaint.